In 2014 I started combining the sounds and stylings of EDM genres Deep House and Tech-House with samples of old-time fiddle and banjo players from the Library of Congress Archives, as well as contemporary acoustic folk bands and my own recordings. This music is written to accompany modern American Contra Dance, and I have since performed at dozens of events across North America from Vermont to Ontario to Indiana to Alaska. I perform this “Electro Contra” music live, as a DJ, while also looping and performing on the fiddle and banjo. 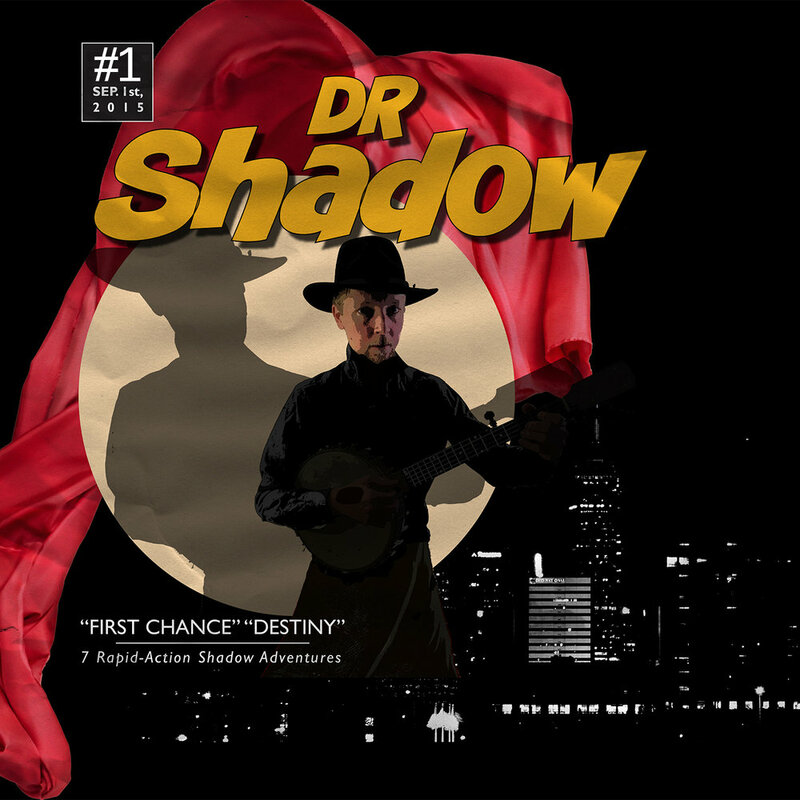 My debut album is available digitally here (link), as well as streaming on all your favorite services, and on CD at any of my live shows! 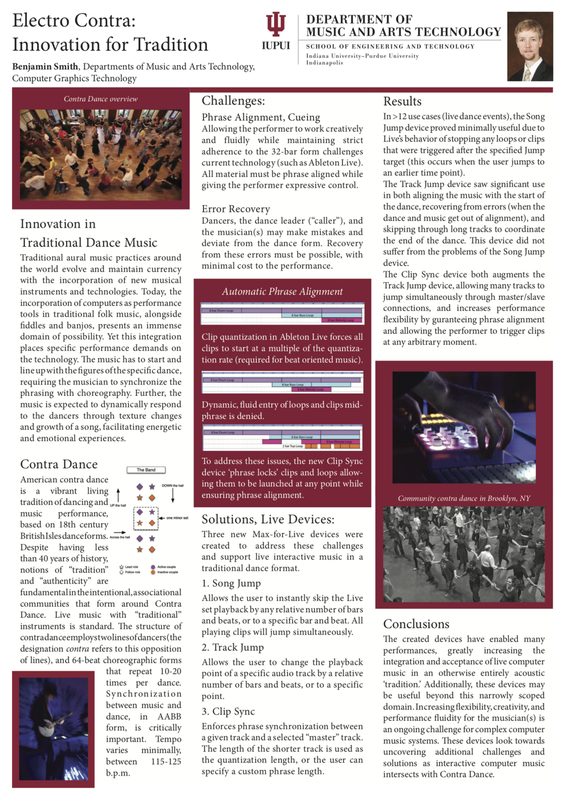 A paper (see Publications) and poster (below) were presented at the 2016 International Computer Music Conference in Utrecht, Netherlands.